With several speciality restaurants choosing to grow their own produce, hyperlocal sourcing is becoming increasingly popular in India…. It all started with an American lady wanting a decent cup of café au lait in California. Along with good coffee, Alice Waters, who had returned to her homeland after studying in France in 1965, craved the fresh baguettes and apricot jam she had grown to love in Paris. As these simple treats were nowhere to be found in the land of frozen food that was America then, Waters opened Chez Panisse in 1971 “to serve great food like they do in France.” The rest is culinary history. The little restaurant, which sourced its produce from local organic suppliers, went on to launch the modern farm-to-table movement across America and the world. At its core was fresh, well-sourced food for diners and fair prices for farmers. Half a decade later, the term evokes widespread scepticism in the West. Reduced to an annoying abbreviation, F2T is now regarded as a euphemism for peddling below-par produce and mediocre dishes at a high price in the name of honouring farmers. 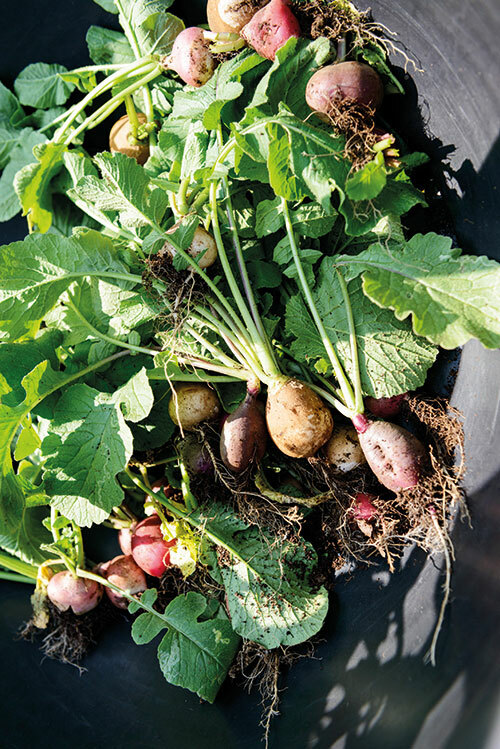 But even as their European and American counterparts are talking about ‘tabling’ farm to table, a growing group of Indian restaurateurs and chefs is flexing their green thumbs to put just-picked produce on the menu. In a progression of plot-to-plate, many are choosing to maintain their own organic vegetable farms, a phenomenon known as hyperlocal sourcing. So what has transpired in the last few years for this concept to take off in India? Is it merely a cool catchphrase or the beginning of a genuine movement towards sustainability? Like Waters, Gauri Devidayal, whose Colaba-based eatery in Mumbai, The Table, heads the hyperlocal restaurant trend in the city, didn’t start out with the intent to start a revolution. “I didn’t really know how things would work. Just because we had the land, we couldn’t just start growing. 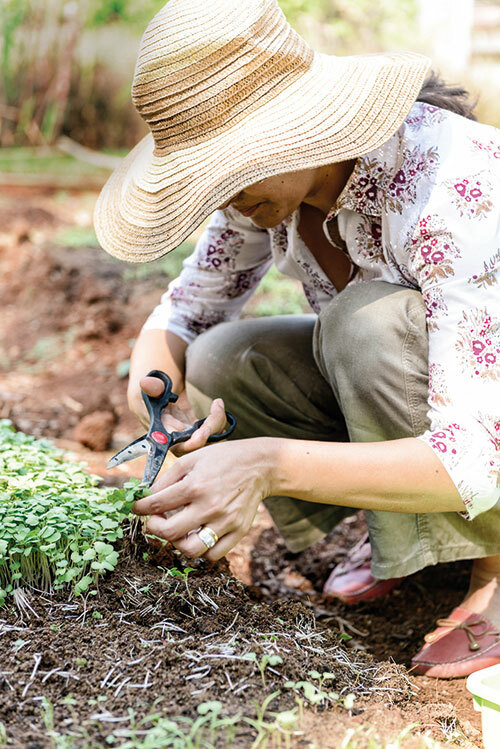 The first few years were all about setting up the farm.” What started as an experiment on her two-acre weekend home in Alibaug has blossomed into a full-blown romance with farming. Words like ‘composting’ and ‘mulching’ figure prominently in her conversation. 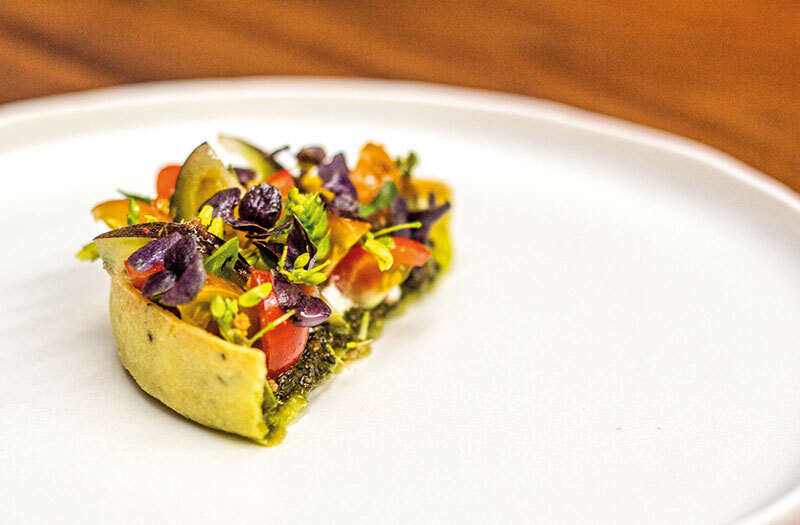 The Table uses its farm-fresh produce to add seasonal pizzazz to its menu. “It’s not like a whole dish will be from the farm but we do 10 dishes which have a dominant ingredient coming from there, for instance our kohlrabi risotto and the Table farm salad made with microgreens,” says Devidayal. She’s not the only one who’s passionate about connecting with the rhythms of Indian seasons and locally grown produce. A few kilometres away in Mahalaxmi, Masque has gone a step further and done away with a fixed menu altogether. The fine-dining restaurant, which elevates local produce, uses India as a region to source everything. It didn’t take its owner-chef Prateek Sadhu long to figure he couldn’t always travel for his supplies. So he and his business partner Aditi Dugar bought stakes in a farm in Pune managed by an Indian couple from California who had moved back here to farm. The 10,000-square-foot polyhouse currently grows tomatoes, herbs and chillies for the restaurant. The farm supplies up to 40 to 50 per cent of Masque’s requirements. “We meet every fortnight to figure what we will be growing in the next two weeks. This allows us to be true to our philosophy of serving slow food. Usually people start off saying it’s a farm-to-table restaurant, but soon you’ll see fast food like pasta and pizza on the menu. We don’t do that,” Sadhu vouches. The fare at Masque is a window to the seasons. 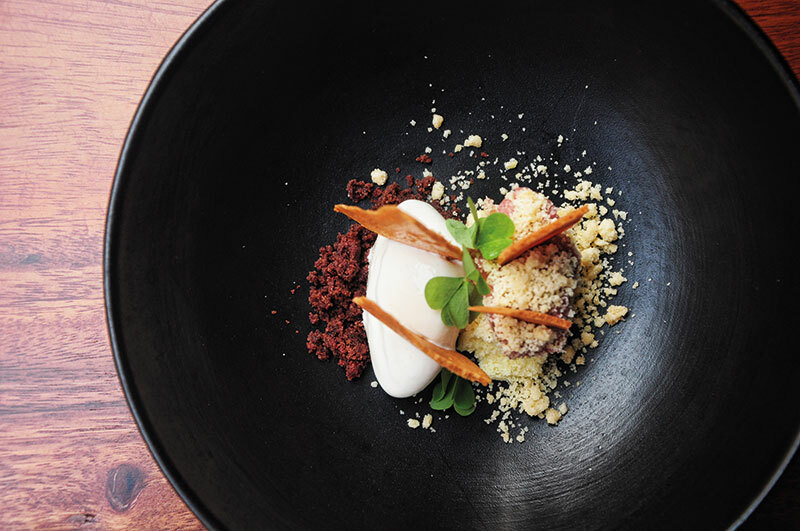 The maverick chef, who recently served Alpine green strawberries from the farm on his menu, believes farm-to-table must go hand in hand with progressive cuisine. Coming up next — a dish featuring nettle and a dessert starring potatoes. 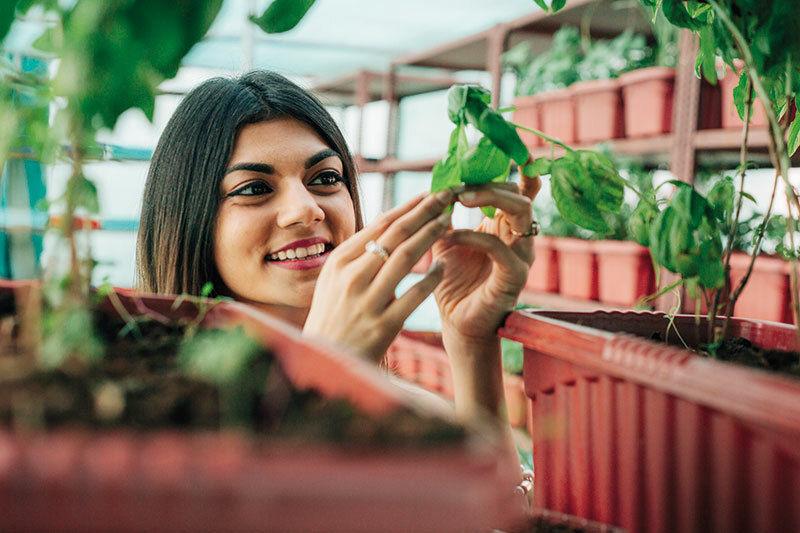 For Alice Helme and Ambika Seth of Caara Café in Delhi’s Kasturba Gandhi Marg, growing their own produce helps create a connection with farmers. Along with their two-acre farm in Vasant Kunj where they grow experimental crops (lollo rosso, black carrots, heirloom tomatoes and candy cane beetroot to name a few), microgreens and edible flowers, they have a 30-acre farm in Haryana for mass farming of basil and other produce. The idea is to get local farmers involved so they can get employment and also learn new farming techniques and see new products that they can replicate. “Eventually, we would like to take this model into contract farming — teaching, guiding and empowering farmers to grow chemical-free produce on their own land and then assist in making the market linkages and getting rates they deserve for class produce,” Helme says. Educating farmers is also a priority for Raj Mukhi, who owns two farms, a one-acre vegetable garden in Zirad village and a three-acre fruit orchard in Tala village, to supply fresh, chemical-free produce to his leisure verticals, Mango Beach House (in Alibaug) and Bagh Tola (in Kanha and Bandhavgarh). Mukhi, who grew up spending quality time on his family farm, says it was a natural evolution to start growing produce for his restaurants. The harder part was to convince the farm help about the long-term benefits of going organic. “It is heartwarming now to see them espouse the advantages of the same to the neighbours who are still reluctant to abandon their traditional techniques,” he smiles. Sadhu believes that the more hospitality professionals work with farmers and the more they understand the rhythm of growing, the better. A week’s stay at the Pune farm is a part of the staff training at Masque. “I want them to know how much effort a farmer puts in to grow a cucumber or a radish,” says he. Hyperlocal sourcing has its detractors. There are those who call the trend unrealistic and idealistic, claiming it ignores the difficulties of India’s complex food supply chain. Others question why a movement bleached of all meaning in the West is still in its infancy in India. “We Indians like to follow trends. Despite the hoopla around the phrase farm-to-table, let’s not forget that we still have a largely organic country. Sadly, we’ve barely tapped India’s vast diversity,” rues Sadhu. Chef Conrad D’souza, who is in the process of putting up a small terrace patch to grow herbs and microgreens for his Mumbai restaurant Out of the Blue, believes it’s simply not viable for restaurants to solely rely on their own gardens. “If an artisan farm prices produce well and if I know it’s organic, I will definitely buy from there. It’s much less of a hassle and saves the overheads,” he argues. Seth echoes the sentiment. “Whoever I know in the market today in this field, they are extremely passionate about what they do. It’s far from being a fad. They live and breathe farming and everything that goes into it.” She, however, feels there’s scope for the industry to grow and a lot more education needs to be given to consumers. Dismissing the contributions of these growers is way too easy. The fact is that they are trailblazers who deserve the kudos they’re getting. What is admirable is their absolute dedication to offering the best quality fare that keeps people around and coming back. More often than not, the food tastes delicious and the community around their restaurants is warm, buzzing and growing.